God chose Judah to be His sanctuary. Judah means praise: Judah is also called the lawgiver and God's ruler's staff. God chose David from Judah and David set up the Tabernacle of David on Mount Zion in the City of David of which God's word says that is the place that He loves. ​Discover what was in the heart of David that God loved so much and what God intends to see restored in these last days. Receive an impartation of a Davidic heart; the heart of a worshipper and the heart of a warrior. 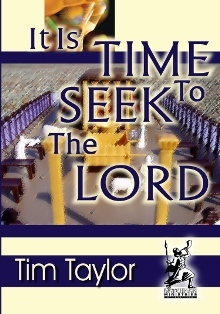 ​It is time to restore David's tabernacle in your city. Click the MP3 below to begin. The scepter shall not depart from Judah , Nor a lawgiver from between his feet, Until Shiloh comes; And to Him shall be the obedience of the people. But chose the tribe of Judah , Mount Zion which He loved. 69 And He built His sanctuary like the heights, Like the earth which He has established forever. KJV - (well-) beloved, father's brother, love, uncle. Faithful to watch over, care and tend the flock………… faithful to his father and loyal to his family. Hunger & thirst ……….. see Hebron 1 Chron 13………. All the leaders decided to bring back presence of God……..
"Rain down , you heavens, from above, And let the skies pour down righteousness; Let the earth open, let them bring forth salvation, And let righteousness spring up together. I, the LORD, have created it. 23 Be glad then, you children of Zion, And rejoice in the LORD your God; For He has given you the former rain faithfully, And He will cause the rain to come down for you — The former rain , And the latter rain in the first month. 23 And Moses stretched out his rod toward heaven; and the LORD sent thunder and hail, and fire darted to the ground. And the LORD rained hail on the land of Egypt. Impartation of a Davidic heart………. Heart of a warrior ………… heart of a worshipper…………….. congregational ………….. It is time………….. in the last days I will restore David’s fallen tabernacle.